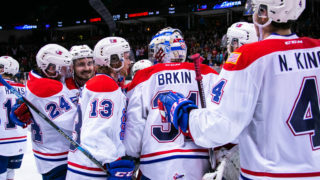 While playing hockey and academic endeavors are priorities for Western Hockey League players, community interaction and involvement are also important prerogatives that often go unrecognized. 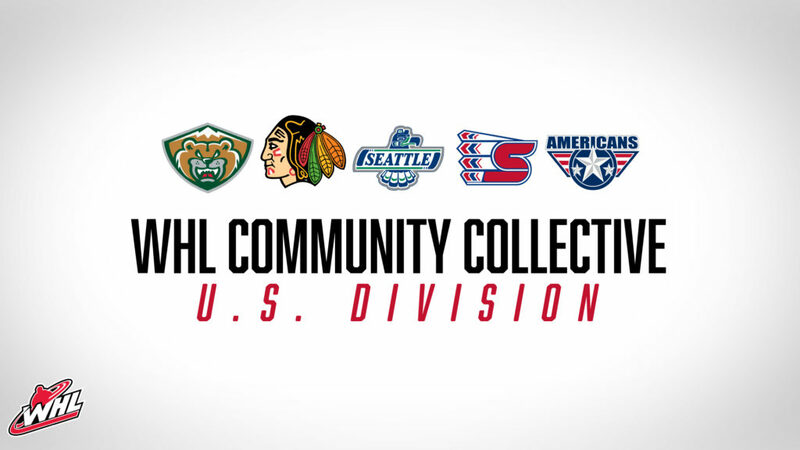 In the WHL Community Collective feature, we will highlight each team in the WHL, by division, to recognize different initiatives in their respective communities. Each season, the Silvertips visit 15-20 schools on a regular basis to present at assemblies with goals of discussing all-inclusive topics such as the importance of regular attendance, reading, respect and hard work. With these subjects in mind, the Silvertips want to set kids up with building blocks for success in school, sports and life. 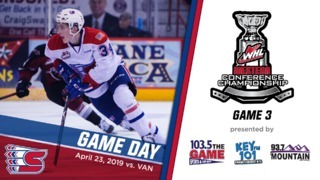 Extending their reach into the community with events such as these means the Silvertips get to engage with fans in-person and show them what hockey is all about. Hockey x School. It’s a great day to be a Silvertip. Supported by the Portland Winterhawks Booster Club, the Portland Sunshine Division Police Bureau and local Fred Meyer stores, the Winterhawks fundraise year-round to provide a Christmas experience that 25 boys and girls won’t soon forget! Each year around Christmas time, children ranging from eight to 10 years old that most likely won’t receive Christmas gifts, are selected to participate in the “Shop with a Hawk’” event where they receive a $100 Fred Meyer gift card. A Winterhawk player is then paired with a child to spend an evening shopping for toys, clothes and games at a local Fred Meyer’s store. Not only does Glass enjoy the event, but the whole team finds it a great way to get involved with their community, give back and capture what the holidays are all about. A big goal for the Seattle Thunderbirds is to connect with their community and ‘Grow the Game’ and love for the sport. 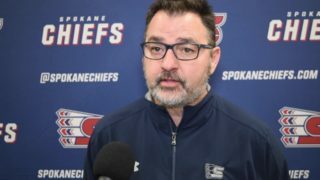 With a new National Hockey League team coming to Seattle in 2020, it’s the perfect time for fans to become more involved with hockey and the Thunderbirds want to show people why it’s the greatest game. Recently, the Thunderbirds visited the Sno-King Jr. Thunderbirds association to practice with the U10 and U12 divisions. “We’re out in the community, supporting local hockey and getting to know the kids that support us [at our games],” said Seattle rookie, Tyrel Bauer. 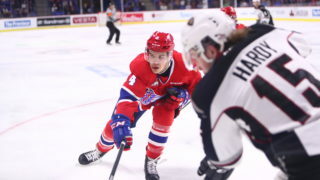 While being on the ice created memories for the younger players, it also brought back memories for a few Thunderbirds as well, “I know when I was growing up, I had experiences getting to meet WHL players and I just remember how nice they were and how fun it was to meet them. I hope the kids we met have the same reaction that I did growing up,” said Volcan. “These kids just love to play the game and when I was that age, that’s all I wanted to do was play the game so it’s good to see they’re having fun,” said Bauer. 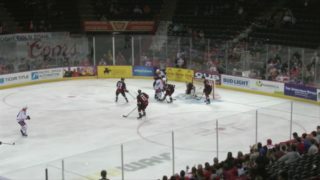 For 13 years, the Spokane Chiefs have partnered with Avista Utilities to run the Avista Heroes Program. 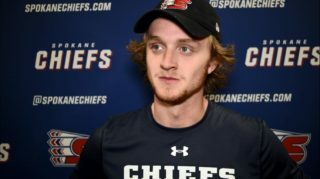 Twice a season, Chiefs players go into local elementary schools to host an assembly for students that focuses on strategies for goal-setting, with particular attention on the process of setting new goals, both short-term and long-term. Players discuss goals related to their hockey careers and education, which provides a few topics many kids can relate to in life: time management, sports and being your best. Students are also encouraged to share their goals with the players and audience. Boomer the Bear, the Chiefs’ mascot, also makes an appearance at the event to engage the kids in the program. Trading in their pucks and sticks in for hammers and nails, the Tri-City Americans volunteer yearly with the Tri-Cities Habitat for Humanity program. Each season, the Americans join the local Habitat for Humanity crew for a morning to assist in the drywall and framing of a house for a family in need. Luckily, some of the players have previous experience with this type of work. Many of the Americans work in construction during summer jobs and found it easy to get back into working on this type of project. Not only do the Americans like to contribute to projects such as this, but they also participate in team skates with local hockey clubs. “It’s important for us to be good role models in the community for the kids that look up to us. Going out to skate with them, gives them goals to aspire to and show them what hockey is all about,” said Yaremko. Had a fantastic morning helping out at a local @habitatforhumanity home. We may now be drywall specialists! 😉🔨 Thankful to give back to our community!